UPDATED: Thu., Jan. 25, 2018, 9:43 a.m.
United States wheat exports could slow significantly because of President Donald Trump’s decision to pull out of the Trans-Pacific Partnership. The 11 other countries participating in the trade talks announced they had reached a deal Tuesday, exactly a year after Trump formally withdrew the United States. The president has said he prefers to negotiate with one nation at a time, although his administration has yet to forge any bilateral agreements. The Asia-Pacific deal, renamed the Comprehensive and Progressive Agreement for Trans-Pacific Partnership, is expected to be signed into effect in March. It would give a competitive advantage to Canada and Australia – major players in the global wheat market who remained in the partnership after the United States’ departure – by lowering tariffs at ports in Japan. Japan, he noted, is one of the top consumers of U.S. wheat, particularly the soft white and club varieties grown in Eastern Washington and North Idaho, which are ideal for making noodles and sponge cakes. “It is very discouraging for our farmers, not to mention the grain trade, to have invested so much over the last 70 years establishing a profitable market in Japan, only to see it undermined and dismantled by politics and our own government,” Squires said. Japan imports about 3.1 million metric tons of U.S. wheat each year, and its current tariff is about $150 per metric ton. Under the new deal, Canada and Australia would see that tariff reduced by about $65, or 43 percent, over a period of nine years, according to U.S. Wheat Associates, a federally funded organization that develops trade relationships abroad. Shipments from the United States would have received the same discount under the original TPP, which was negotiated under President Barack Obama, said Steve Mercer, a spokesman for U.S. Wheat Associates. If the new deal takes effect, Japanese millers would have to pay more to import American wheat than Canadian or Australian wheat. At this week’s World Economic Forum in Davos, Switzerland, world leaders, including Canadian Prime Minister Justin Trudeau, spent considerable time discussing the merits of international trade, with some railing against Trump’s drift toward protectionism. In an unrelated move this week, the president slapped large tariffs on imported solar panels and washing machines, and the administration now is trying to renegotiate the North American Free Trade Agreement. “If we are going to push back against the anti-trade tendency in globalization that will leave us all worse off, we have to put the concerns and the well-being of our ordinary citizens at the center of what we are negotiating, and that is what 11 of us have been able to do with the CPTPP,” Trudeau said, using an abbreviation for the Asia-Pacific pact. 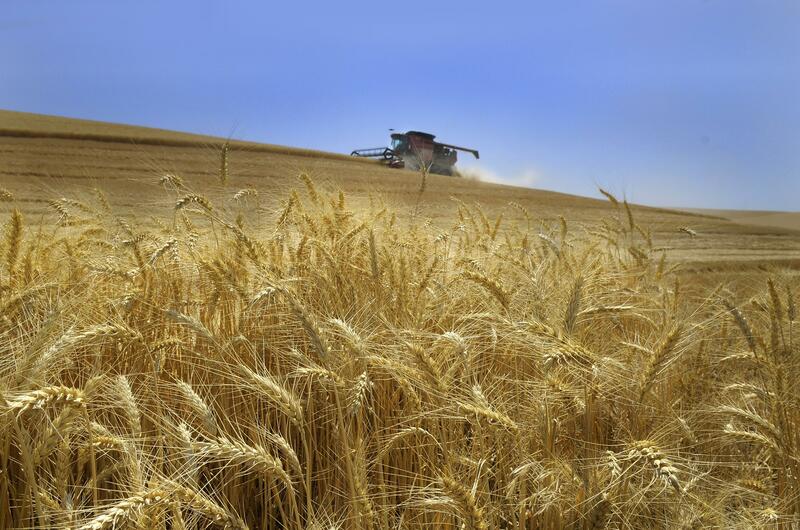 The Japanese palate may be a silver lining for wheat growers in the Pacific Northwest. Mercer said growers of hard red and spring wheat in states such as Montana, North Dakota and Kansas would be hurt the most by the new tariff regime. But he cautioned that Australia and Canada produce some soft white wheat, too. Overall, he said, the U.S. wheat industry can expect its share of the Japanese market to fall from 50 percent to 15 percent, costing an estimated $200 million each year. That’s on top of a global wheat surplus that has been driving down prices for years. Mercer added that by leaving the TPP, the U.S. wheat industry also lost out on lower tariffs in Vietnam, where trade representatives have been working with millers to develop a smaller, but still valuable, market. The other countries involved in the deal are Mexico, Malaysia, Chile, Peru, Singapore, Brunei and New Zealand. In an interview Wednesday at her Spokane office, U.S. Rep. Cathy McMorris Rodgers said she was among a group of lawmakers who told Trump they had concerns about leaving the TPP before he signed the order to withdraw. The Republican congresswoman, who represents Eastern Washington, said there were problems in the tentative agreement involving pharmaceutical prices and intellectual property rights, but overall she viewed the talks as “the best way to counter the continued dominance of China” in the global economy. McMorris Rodgers said Trump gave assurances that the United States would quickly seal bilateral trade deals, perhaps first with Japan. She hinted at a kind of regional agreement for the Pacific Northwest involving Japanese wheat buyers and U.S. trade representatives, but said nothing had yet been finalized. And she pointed to the broader effects that the Asia-Pacific deal could have on Washington state. This isn’t the first time Trump has drawn the ire of wheat producers and others in the agriculture industry. His proposed budget, released in May, included cuts to crop insurance and would have eliminated federal funding for U.S. Wheat Associates and similar market-development organizations. Correction: This story was changed on Jan. 25, 2018. A previous version misstated which parties are responsible for paying tariffs at Japanese ports. Published: Jan. 24, 2018, 7:43 p.m. Updated: Jan. 25, 2018, 9:43 a.m.